The service allows users to connect their phone, computer and online services address books. It also has easy ways to remove duplicates and create backups. The service aims to prevent users losing their address book - for example when their phone breaks or is stolen. Another benefit is that if a friend updates his contact details these are immediately and automatically updated in your own address book. The free service limits the amount of contacts to 250 and users can add up to 3 connections to test the service. The premium accounts remove these limitations and users can add up to 50 different address books. 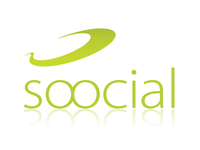 Users are encouraged to try to use Soocial first and if they like it upgrade to the premium service. The Premium accounts will cost €3 per month or €29 per year. Alternatively Soocial is offering a limited life-time account for a one-time payment of €39 (for current beta-users only). Another interesting aspect of the launch is that Soocial is offering the premium services to people from Iceland for free. Soocial's CEO Stefan Fountain explains: "We like Iceland. We like Icelanders. We understand their troubles and would like to help them. We can help them never lose important contacts, they can make those important calls and improve their economy. So we've decided to give them a break and offer our premium service for free." Soocial works with a large number of phones (most Nokia's, SonyEricsson, iPhone, BlackBerry and Windows Mobile), with computers (Mac OS X and Outlook) and online services (Gmail, Windows Live Hotmail and Yahoo! Mail). Other services often offer sync solutions but don't do full two-way syncing and offer on the fly de-duplication like Soocial offers.